Mayweather: How can I negotiate a fight with Pacquiao when they're suing me? Mayweather: How can I negotiate a fight with Pacquiao when they’re suing me? By Chris Williams: Just as I thought a long time ago, one of the problems getting in the way of a potential mega fight between WBC welterweight champion Floyd Mayweather Jr. and WBO welterweight champ Manny Pacquiao is the lawsuit that Pacquiao has out for defamation against Mayweather. That’s what I figured. How can Pacquiao be talking about wanting to fight Mayweather when he’s suing him and stands to win the suit? I think it’s the wrong way to get a fight with Mayweather. Pacquiao could end making a ton of money if he wins his lawsuit against Mayweather when this thing finally gets settle. Don’t you think this is counterproductive in putting together a fight with Mayweather? If not, you need to pay attention to what Mayweather is saying. He’s not eager to fight a guy that’s suing him and I don’t blame him. I think Pacquiao may win the lawsuit but the money that he’ll get from that will pale in comparison to the money that he’ll lose in the Mayweather fight not happening. If he’s smart, he’ll see it from Mayweather’s perspective and drop the suit so that the fight can be made. If he’s determined to not drop the suit, then he may have to settle for that being the only money he gets instead of a huge payday. What Mayweather needs to do is agree to fight Pacquiao if he’ll drop his suit. If not, then no deal. That’s the way to do it. But I don’t understand suing a guy and then trying to get a fight with him at the same time. You think Mayweather can just compartmentalize this stuff and forget about? I don’t think he can judging by what he’s saying. I think the suit will ultimately be the reason the Mayweather-Pacquiao fight never gets made. I agree. Pacquiao lost that fight and I think it’s bad for boxing to have judges scoring fights that the mass population disagrees with. All it does is make casual boxing fans distrust the sport and turn to other sports like MMA, football and basketball. Mayweather also said he wasn’t going to pay to see the fight Marquez-Pacquiao fight on pay per view, because he didn’t want to put any money in Bob Arum’s pocket. 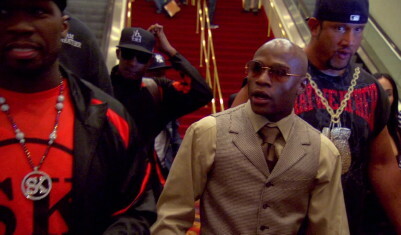 Boxing » Floyd Mayweather Jr » Mayweather: How can I negotiate a fight with Pacquiao when they’re suing me?